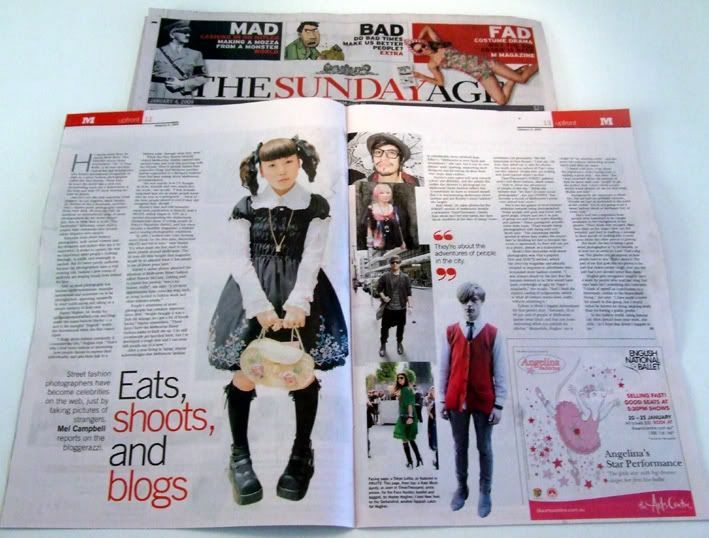 An interview with me is in today's Sunday Age M magazine. 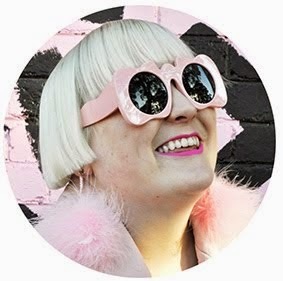 It's about my work at Melbourne Street Fashion.com. The article isn't online (I don't think they put the M magazine articles online) so I'll try and scan the words in for you today at some point. This is pretty exciting for me, I always read the Age newspaper and to be recognised in it for my work is something I never imagined would happen. Oh and I have also banned anonymous comments as I have been getting some very strange ones recently. that's so great, hayley. congratulations! i just read this over breakfast! Oh congrats on the write-up! I'm going to have to track it down now hehe. PS. Your NYE sounds like so much fun too - we were meant to go to that Fitzroy park party too but didn't make it for some reason. I was there last year and it was insane! Just read the article and knew I recognised you from your blog - great job! You come across as v. articulate and knowledgeable. Okay, this is going to sound totally random but I just remembered one of your outfit posts thingo, and I saw that you had $9 oxfords. Could you please tell me where you got them? I have been on the hunt for them for forever. I haven't read the whole thing yet, I'm half asleep at the moment so I'll try tomorrow. But I just want to say well done and all that. Make sure you take good care of that copy, some thing to show the future kids. We always lose ours. Does that make sense? Lol I'm about to pass out. Oh see, we normally go to this one cafe in Malvern for brunch on Sundays and I rely on their copies of The Sunday Age for my M fix. But we brunched on Chapel St instead this Sunday so naturally I missed it!! here is the online version from The Age.